Ideal for a romantic getaway in a comfortable environment. 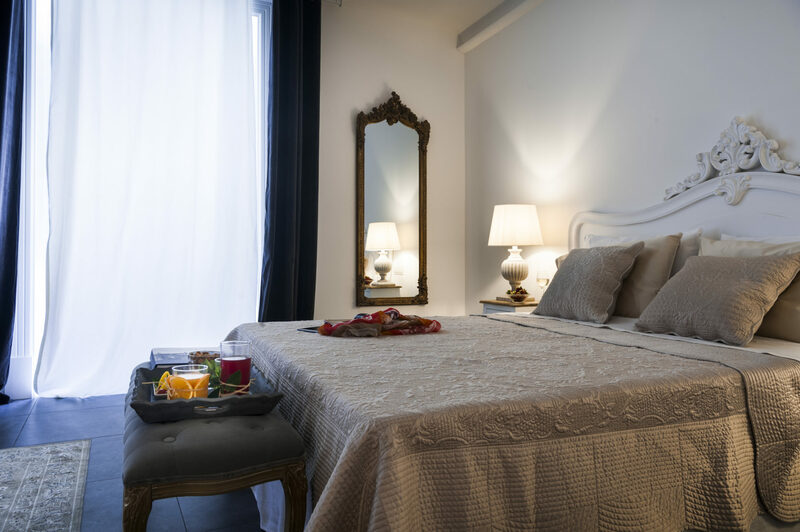 The Deluxe double rooms are spacious and equipped with a sitting area, with a refined atmosphere that recalls an ancient Sicilian noble residence in combination with the best of modern comfort and elegance. All Deluxe rooms have a balcony and can accommodate up to 3 people. 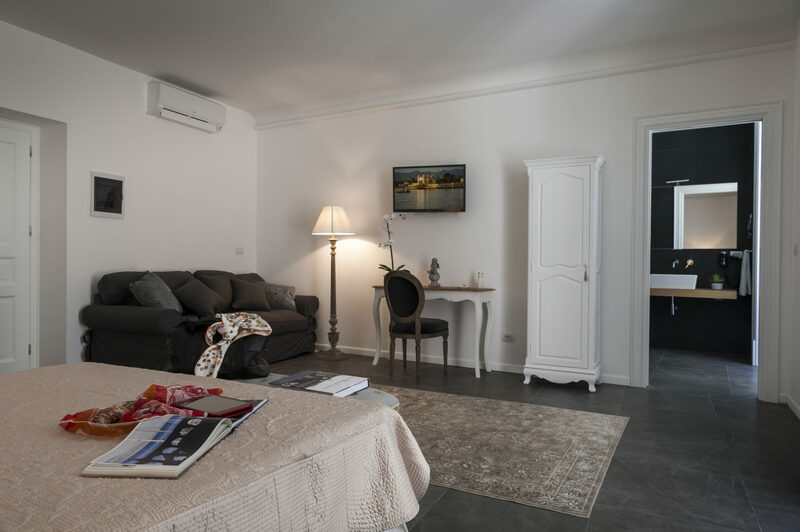 They are air-conditioned and equipped with free wi-fi, a minibar and a safe. 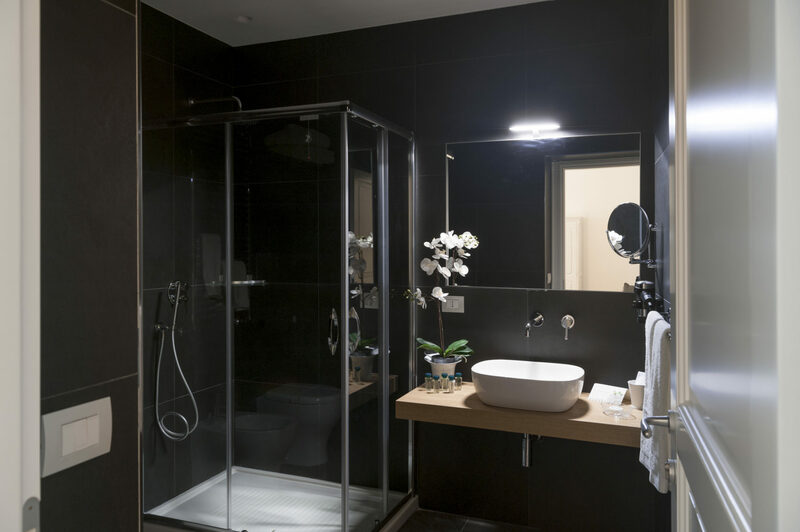 Each room has a flat-screen satellite TV and a private bathroom with hairdryer and toiletries, Nespresso and tea making facilities.